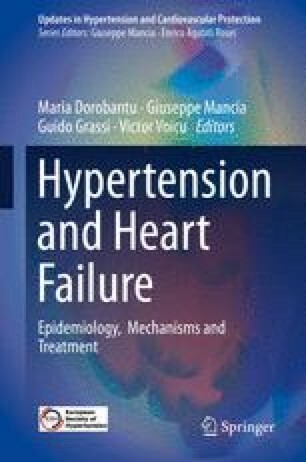 Even though heart failure (HF) is a global public health problem, its diagnosis is often quite challenging, especially in the initial stages. Biomarkers are useful instruments which could facilitate the early diagnosis and prompt therapy initiation in a patient-tailored manner. Substantial advancements have been made in recent years, so reasonably priced omics-based technologies have permitted on the dot identification of a wide array of biomarkers. But not all biomarkers can be used in clinics as these must be precise, sensitive, and specific for the pathology investigated. HF is characterized by a systemic inflammatory response, myocardial fibrosis, and increased myocyte stress leading to organ damage. In view of that, these biomarkers are categorized into markers related to fibrosis, inflammation, myocyte stress, and microRNAs. The validation of biomarkers is hindered by low statistical power and poor reproducibility of results. So, the quest to ascertain high-quality biomarkers having high accuracy and robustness has not yet come to an end, and further research in this field is needed. Funding: This work was supported by a grant of the Romanian National Authority for Scientific Research and Innovation, CNCS/CCCDI—UEFISCDI, project number PN-III-P2-2.1-PED-2016-1333, within PNCDI III. Song TT, Cui R, Guo QH, Jia HD, Liu L. The correlation and its significance of BNP, homocysteine and C-reactive protein level in elderly heart failure patients with preserved ventricular ejection fraction and hypertension. Labeled Immunoassays Clin Med. 2016;24:200–3. https://doi.org/10.11748/BJMY.ISSN.1006-1703.2017.02.019.